Author Linda Cureton grew up in Washington, DC studying music at Duke Ellington School of the Arts and Mathematics at Howard University. 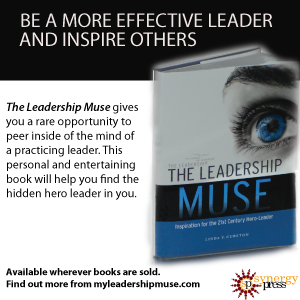 She taps on that experience as well as over 30 years of practice as an Information Technology leader in “The Leadership Muse”. Cureton’s interest in classics and mathematics influences a tapestry of leadership lessons from across the centuries. She introduces us to inspirational goddesses of antiquity – the Muse. In particular, we hear of a Muse for leadership who inspires men and women to become leaders capable of heroic feats of wisdom, grace, and courage. Her fondness of science fiction influences the lessons she offers from characters in Star Trek, Star Wars, and Lost in Space. She also captures teachings from nature from the mighty eagle to the unassuming hummingbird. The book teaches the reader how to recognize the extraordinary artistry of leadership in great leaders, in ordinary people, and in ourselves. 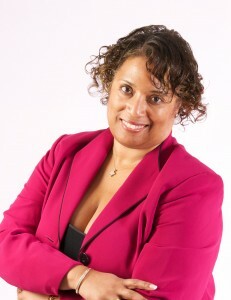 This is Linda Cureton’s first book. In addition to this book, she has written hundreds of blogs, several scholarly papers, and quite a few articles. She lives outside Washington, DC in Bowie, MD with her husband, his grandson, and her mother. How nice that Sally is still on board with helping to manage your social media outreach.